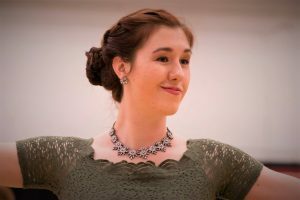 As president, Sarah is responsible for the direction of Devil DanceSport, communication with the university and other clubs, and coordinating activities within the club. She heads the officer board and all committees. Hey everyone! My name is Sarah and I am very excited to be the president of Devil DanceSport for the 2017-2018 academic year. I am a 4th year student pursuing concurrent degrees in Material Science Engineering and Political Science and work in a R&D lab over in the Flexible Display Center at ASU. I have been dancing for two years now and have really developed a passion for what we do, both within the club and in community outreach. I love the family environment that we have developed in the club and really hope that you feel the same way. I am excited to take my previous experience in leadership and development and apply it to Devil DanceSport; this is going to be a fantastic year for us and I can’t wait to meet you all! Have questions for Sarah? Email her directly! Quinny is responsible for managing all aspects of intercollegiate competition for the club. This includes registering the team for competitions, and making travel and housing arrangements. 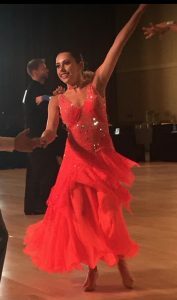 Quinny also helps club members in forming successful, stable partnerships, and in preparing for dancesport competitions. Hi guys! My name is Quinny Thai and I will be our Team Captain for 2017-2018. Currently, I’m a junior studying community health and human development, and I am also working at ASU Foundation right down the street from our studio (so I’m always around!). 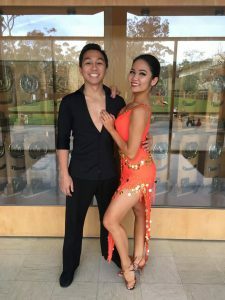 Dance and the performing arts have always been an important part of who I am, but it wasn’t until I joined Devil DanceSport last year that I discovered my true passion for competitive ballroom dancing. DDS has given me such great opportunities to meet amazing people and discover new experiences, and I can’t wait to give back to this community. Don’t hesitate to contact me with any questions or comments! Have questions for Quinny? Email her directly! 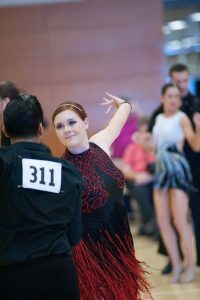 Meredith is tasked with organizing Devil DanceSport’s large events, such as DDSI and the Masquerade Balls, and providing logistical support for the club’s activities. Hi guys!! I’m Meredith, I’ll be your Event Director for the 2017-2018 season. I’m currently pursuing a mechanical engineering major with a dance minor. I’ve danced since I was 3 years old, and I still love it with all my heart! Please don’t hesitate to contact me with any questions or concerns you may have. I’m looking forward to a great year! Have questions for Meredith? Email her directly! Jason keeps track of the club’s funds, and ensures the club stays financially solvent. Thus, he authorizes outgoing expenditures and receives all revenues from fundraisers and event fees. Hello everyone, I’m Jason Hall and I will be serving as Treasurer for DDS this year. Originally from Mesa, Arizona and I am attending my third year here at ASU. I am pursuing a bachelor’s degree in Social and Partnership dance and this will be my third year in DDS. 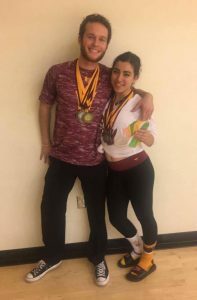 I started dancing ballroom over six years ago and I have been dancing here at ASU for the last two. I have really enjoyed learning from Larry and the others at DDS. I am looking forward to having a great year. Have questions for Jason? Email him directly! Cayla is the one in charge of handling the club’s communications with members, and manages the club’s mailing lists. She is the one who will be letting you know about special events, general meetings, elections, and the like. Hello, my name is Cayla Millar and I am the Secretary of Devil DanceSport Club this year. I am in my sophomore year as a Business Marketing Major within the W. P. Carey School of Business, as well as minoring in Dance through the Herberger School of Film, Dance, and Theatre. 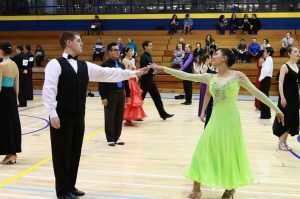 I have been dancing all my life, and about four years ago I began to expand my knowledge of dance with practicing ballroom. I enjoy sharing my love of dance as well as spread my knowledge of dance to others. If you ever have any questions, feel free to contact me. I cannot wait for another amazing year with Devil DanceSport. Have questions for Cayla? Email her directly! Emma is the person who handles Devil DanceSport’s social media presence. In particular, she manages our the club’s Facebook, Twitter, Instagram and YouTube accounts. Hey! My name is Emma and I am a senior studying film with a minor in business. I grew up taking studio dance classes and I joined DDS in the fall of 2014. I have loved it ever since! After being the marketing director for DDS the last few years I really look forward to getting to continue combining my love for dance and my love for the camera. Devil DanceSport is really an incredible sport club and I can’t wait to serve as the marketing director again. If you have any inquiries or questions regarding DDS media please do not hesitate to contact me! Now after reading this, subscribe to our YouTube channel! And like us on Facebook! And follow us on Instagram! Have questions for Emma? Email her directly! As Risk Management Officer, Chloe is in charge of ensuring participant safety in all of our activities. Her duties also include managing the club roster, and ensuring that all participants in our DDS lessons satisfy club membership requirements. Hey guys, my name is Chloe! I am in my senior year here at ASU and I’m super excited to be the Risk Management Officer for Devil DanceSport this year. I have been dancing with DDS since spring 2016 and I have loved it. 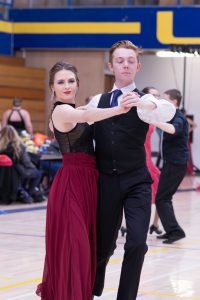 I didn’t have any dance experience before joining the club, except for a brief stint in Irish dance when I was little, but I feel like it is something that anyone can pick up as long as you put time into it. When not in dance, I am usually working on finishing up my bachelor’s degree in Environmental Design (and trying to get into my hopeful Master’s program). If you need anything, please feel free to contact me or any of the other officers. Have questions for Chloe? Email her directly!